Spring has sprung, and we’ve made it to Easter! We can’t believe how fast this semester has already flown by. It’s been a busy past few months, to say the least. 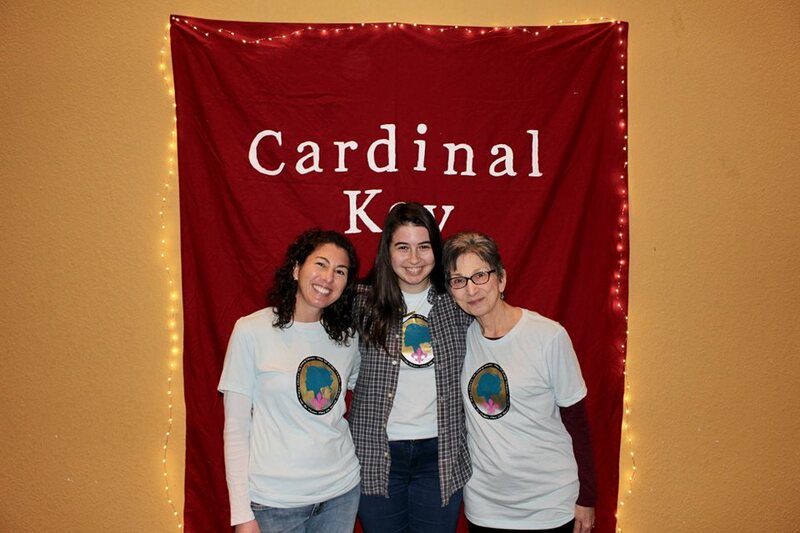 In January we celebrated the special women in our lives with our annual Cardinal Key Special Women’s weekend. 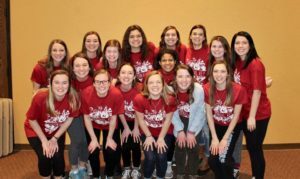 Moms, grandmas, sisters, friends, and many other special women joined us for a day of service, fun, food (of course), and recognizing them for their impact in our lives. We also had a silent auction and were able to raise over $500 for our philanthropy, Juvenile Diabetes Research Foundation. 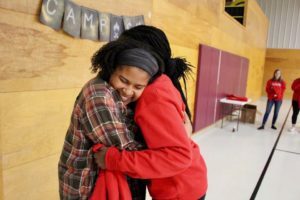 March has been filled with meetings, weekly service events at places like Manor Care and Headstart, and ended with retreat! The theme this semester was Camp CK and our new girls were able to meet their bigs and receive their Big Reds! It was, as always, a night filled with laughter, wisdom, amazing food, and sisterhood. Lastly, several CK’s volunteered at Kirksville’s annual Easter egg hunt on Saturday. The hunt took place on Truman’s quad and had over 15,000 Easter eggs! 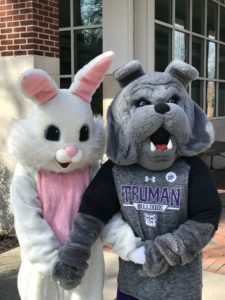 Two of our very own CK’s even dressed up as the Easter Bunny and Spike the Bulldog. It was a joy to serve the Kirksville community in this capacity and, yes, even eat a few pieces of candy too. We hope this spring season greets you with plenty of sunshine, warm weather, and joy! It is so exciting to be back at Truman for the spring semester. Fall semester definitely had its ups and downs, but there’s something so encouraging about a fresh start. Whether your goals this year are to think more positively, read good books, learn to cook, volunteer somewhere, or discover your passion for running (more power to ya), Cardinal Key wishes nothing but success in your efforts. The best thing about success is that it looks different to everyone. There is no one path to success. Some days, success will look like achieving a skill that you’ve worked at for weeks or months. Other days, success will be measured by accomplishing one task on your sometimes endless to-do lists. The important thing is to take it in strides, give yourself plenty of grace, and recognize that you’re doing the best that you can. Progress is hardly ever linear and it is absolutely OKAY if we have to stop and reevaluate our goals. Wherever this new year finds you, consider 2018 as an opportunity for growth. It’s important not to dwell on the past, but take the time to practice thankfulness and being present in every situation that life brings you. You are loved, you are alive, and you have purpose. You bring joy to the people around you in ways that you will never realize and you have so much to offer the world. In a time where there is so much hurt, uncertainty, and strife in our world–your small deeds can create a ripple effect that touches a multitude of people. That is such an exciting thought! Everyday is a new opportunity to live your best life. It happened again. I woke up and checked my phone to see nothing but heart shattering news. An indescribable, unimaginable nightmare. The next few days nothing else reaches our TV screens besides those innocent lives taken in the Las Vegas shooting. 58 innocent, beautiful lives. May their families and this world find peace and healing through this tragedy. I am 22 years old and this headline has crept its way into our lives one too many times: Sandy Hook. 9/11. Charleston. Aurora. San Bernardino. Ft. Hood. Virginia Tech. Columbine. Orlando. Las Vegas. These headlines are plastered across our screens and we are overwhelmed with madness, disgust, sadness, confusion, and helplessness. Despite all this darkness, we must not lose hope. We must realize we are surrounded by greatness everyday. It’s so easy to get wrapped up in the hustle and bustle of our own lives, but don’t forget to stop and enjoy the vast beauty surrounding you. Don’t forget to stop and be the hope someone needs today. In all this madness, I have realized how short this beautiful journey really is. Before I knew it I blinked and in a couple months I will be a college graduate. We are only promised a certain amount of trips around the sun so make the most of every day. Squeeze your mom a little tighter next time you hug her. Remind your siblings how much they’ve shaped you into the person you’ve become today. Thank your dad for always being your best friend, even when you made it difficult. Love harder and don’t be afraid to show it. Our time here is too short to hold on to anything but love. There are times we want to spew with anger rather than to find forgiveness. There are times we have our backs against the wall with nothing left to give, but still we fight. Why? Because anger, resentment, sadness, all of it has no right to make a home in your heart. You fight back. You have become resilient. You have chosen to choose love time and time again because after all- how can you give to others when you have an empty heart? Fill your heart with love and this will spew out into all facets of your life. This world may seem like a dark place sometimes, but I see the light shine brighter than hate everyday. I know you see it, too. Like those brave, courageous individuals who shielded others from the bullets. Like our first responders who charged into the madness to help those innocent, beautiful souls. Like my best friend, who hopes to touch the lives of children as a Pediatric Oncology Nurse. Like my teammates, who constantly love and encourage me to be the best version of myself on and off the course. I know you all see this magic in your lives everyday, too. I pray you still spread all this love, despite the heart wrenching news of Las Vegas. Please, don’t lose hope. No matter our race, religion, political affiliations, income, or personal beliefs, we are all human beings. We all must come together. We all must love one another that much harder. It is up to us to ensure our children have a safe and loving world to venture into. This cannot happen unless we start having open conversations, instead of debating with one another. There is a difference. This cannot happen unless we choose to embrace the differences that make us who we are. Every interaction, no matter how pleasant or unpleasant, can teach you something about life and love. Don’t ignore this. Choose to stand up for what you believe in and choose love time and time again. Choose to be the light we need in this world. Choose to live free and love fearlessly. Choose to be a good human. Love is everywhere. Love heals. Love conquers all. 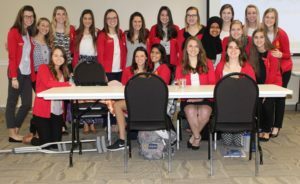 2015 Rush Applications are Available!